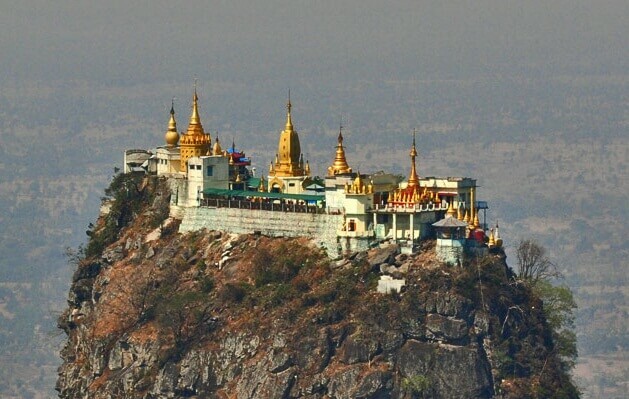 Mount Popa in Bagan, one of must-see attraction for Bagan travel, is one of impressive attractions in Myanmar originated from an extinct volcano. Another special thing of this mountain is its holy Taungkalat monastery surrounded by sheer cliff faces with breathtaking views over the region. 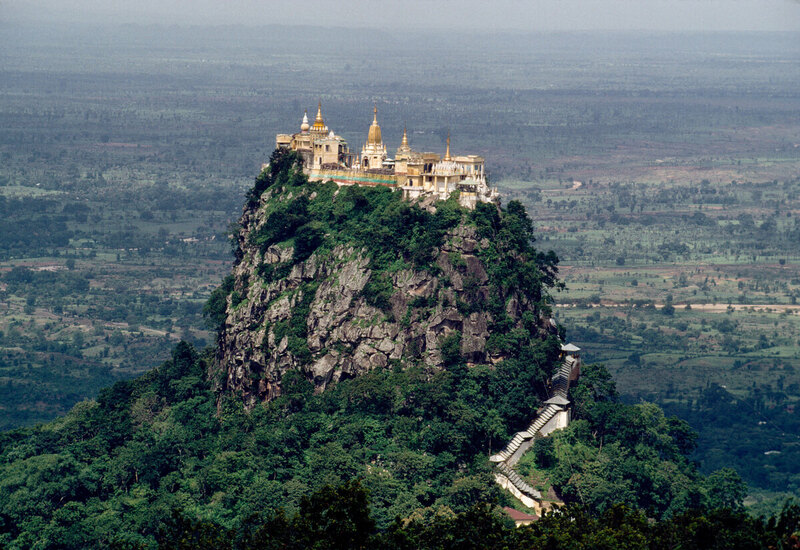 There are many legends of Mount Popa relating to its vague formation. The mountain is said to be created from a great earthquake. There also some legends about Nats and its worship rituals including the Mahagiri nats, Byatta and Me Wunna. 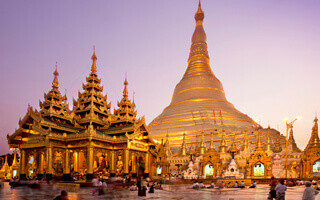 The most powerful Nats of Burma is believed to dwell on the Mount Popa. That’s why it is considered the most significant nat worship center of the region. The most outstanding feature of the mountain is that it is home to the famous monastery of Taungkalat in which 37 nats have been enshrined. 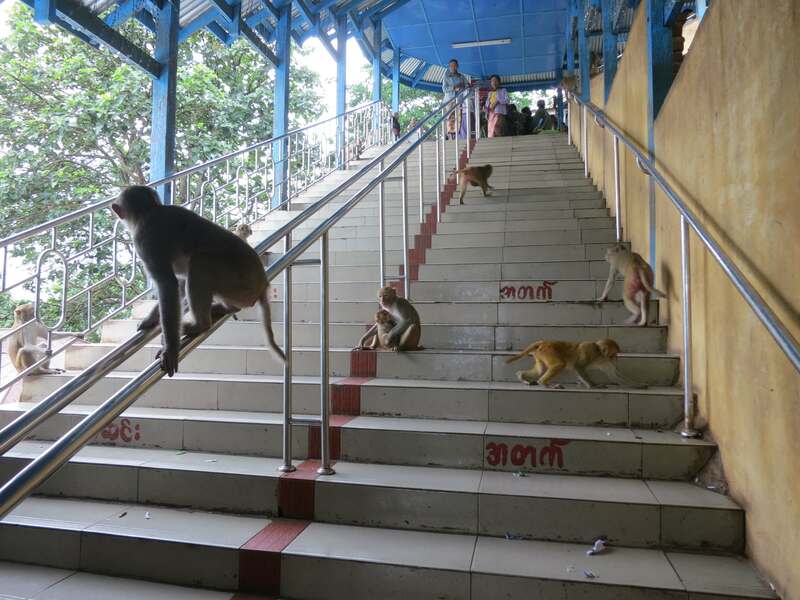 Along the way to the top, visitors also have chance to see numerous cute monkeys playing around and expecting treats. 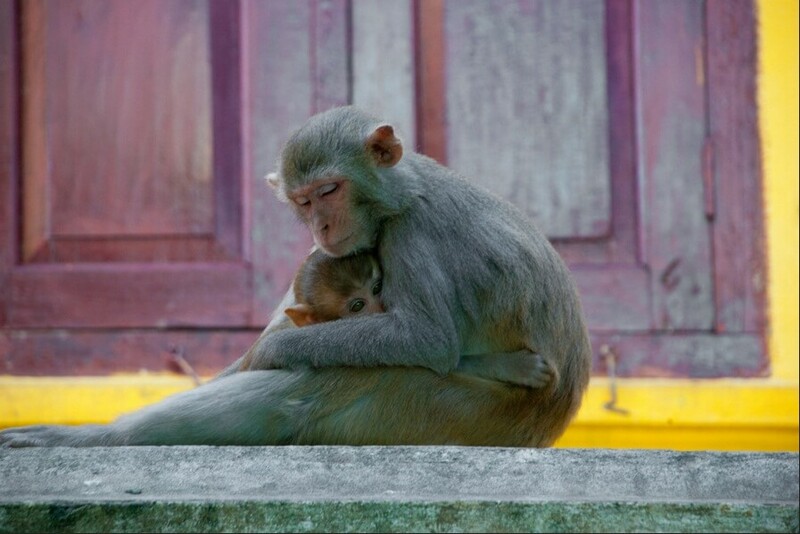 It can be said that the image of them is now extremely familiar with the Mount Popa. From the base of the volcanic outcrop, you can take 777 steps to the top of the monastery to be awarded a stunning panorama of surroundings and the mountain itself. At the base of the monastery, you could also find out a lot of teahouses and beer stations which serve drinks and Myanmar food. 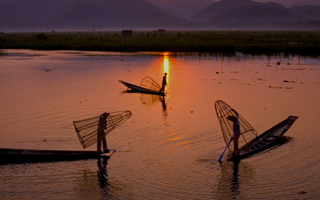 Myanmar travel is famous for its numerous festivals, including the Mount Popa Nat Festival taking place in March to celebrate two brothers. There is another festival called Mahagiri Nat Festival taking place in December to honor brother and sister nats. According to Burmese superstition, it is impossible for anyone on the mountain to wear red, back or green, or to take meat along them because it is considered to offend the resident nats. 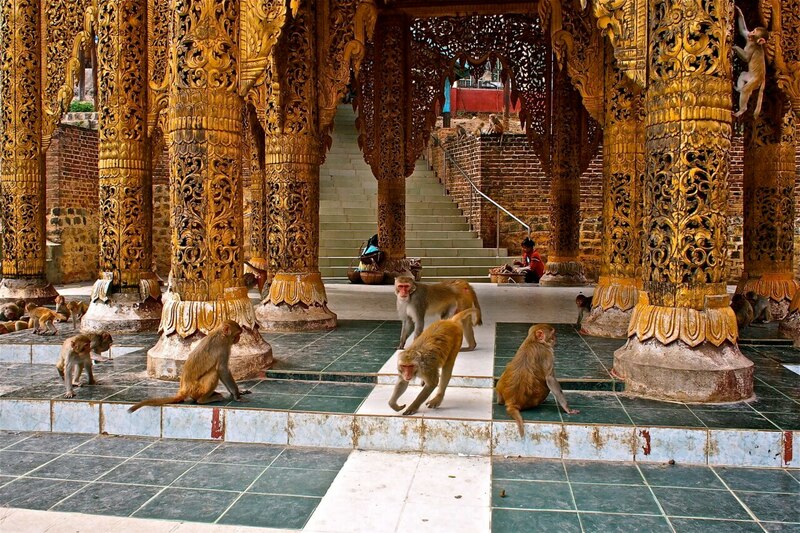 » How to get to Mount Popa? 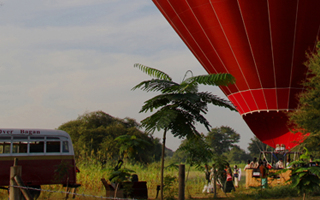 From Bagan, you could start off your daytrip tour to visit Mount Popa. Although it is not a long distance, it will take you 1.5 hour to get there due to inconvenient conditions of road. There are two ways to get there: by bus or by truck. You will feel a bit uncomfortable but it is the cheapest way because it only costs you 3000 kyat. If you want a more comfortable way, you could hire a taxi car. This mean of transportation is more expensive than the two ones but in return you have chance to stop and visit some villages along the way. The cost for hiring a taxi car from Bagan to Mount Popa is 30000 kyat. Please fill up the below question form if you need any further information or assistance. We are willing to send you our answers within 24 hours and provide you necessary documents if require.